I will politely say thanks in response, but I’ll know the truth. I had nothing to do with the success of the mentioned event. I just have a great team around me. Mike Rowe, in his hit TV show “Dirty Jobs,” has introduced us to those almost invisible people around us who make our society work. Street sweepers and sewer workers, people who raise worms commercially, and a whole host of other people who do the jobs that most of us would never do in a million years that keep our modern world turning. First, if I’m on time and reasonably prepared for the meeting, it’s because Jaclyn Swencki, my executive assistant, has done her job well. With my ADD, I’m like a herd of cats all by myself. Jaclyn keeps me reasonably focused and my life organized, and that’s not an easy task. Thanks, Jaclyn! Every day, I walk into a nice building that is clean, ready for use, and everything works. That’s because Jim Vance and his team in facilities have done their job. They always do their job. The reason I know how well they do their job is how little I think about them. I just show up and everything is ready and works. Thanks, Jim! Adam Dye makes our media work. He knows where all of the wires and buttons are. I know we ask him to do the impossible week after week, but he just smiles and then, he pulls it off. Few of us will understand how hard whatever he did was to pull off, but he does it. Thanks, Adam! Whenever you call the church, Helen Hargrove is the first person you talk to. I can’t tell you what a great job she does in taking care of our communications. She’s the first impression of Brentwood Baptist Church, and she makes us look good. Thanks, Helen! Todd Bishop makes sure the traffic doesn’t get snarled up and greeters are in place for all of our services. He also handles emergency situations. There are Sundays when we will have an emergency situation, and I won’t know anything about it until much later in the day. Todd does his job very well. Thanks, Todd! To everyone, professional staff and volunteers, who show up when you’re supposed to and do what you committed to do with excellence and heart, I thank you. Yes, I get a lot of credit, but I know the truth. 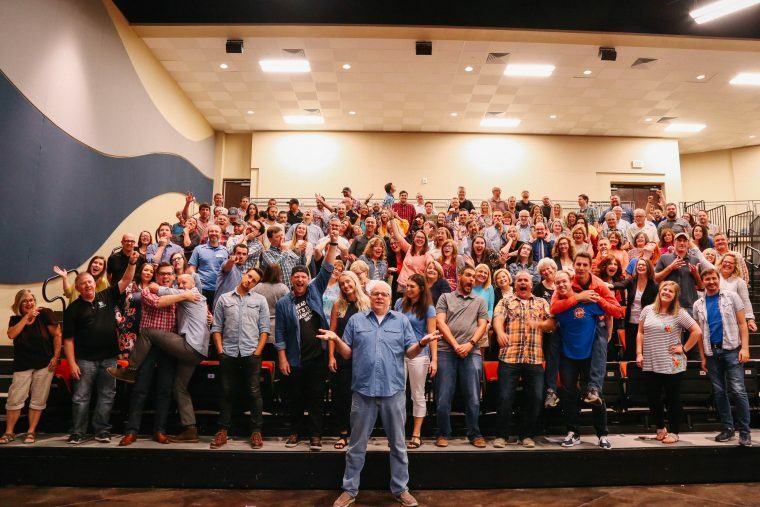 You’re a great church, and we have a great team. Thanks and Happy Labor Day! I just want to add my thanks to all these people and many more who make things turn like clock work – too many people to possibly name. But you are the hub of this wheel, Mike. It is your vision and direction that makes that wheel turn. Thank you from the bottom of my heart and may God continue to bless you as you serve him in a mighty way.